– Siemens PLC touch screen, can pre-set, edit and save cutting plans. 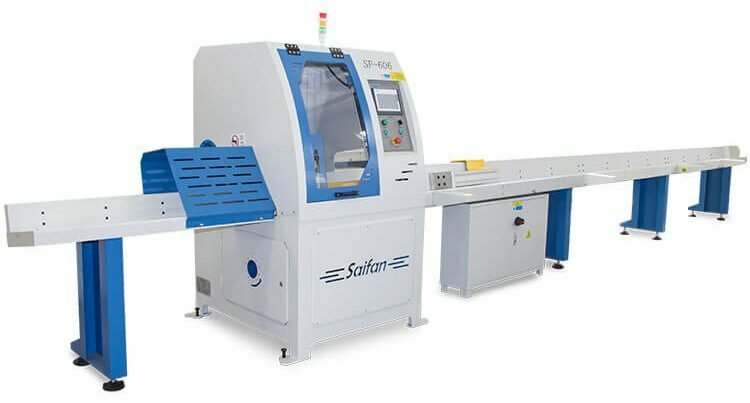 – Working table is tilted to keep the workpiece is close to the working table to ensure high cutting accuracy. – Start & stop working button can be a remote control or wire control, that’s more convenient for the operator. 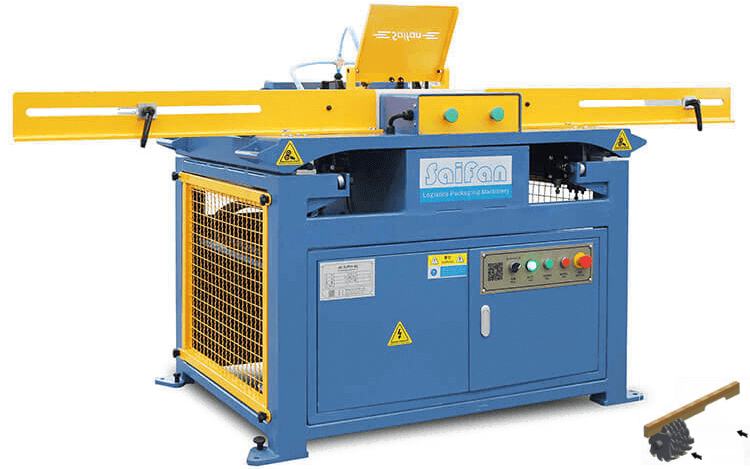 – It contains a cutting program, various cutting dimensions freely combined, can cut 8 kinds dimensions on one piece of wood. – Single head / Double head for the option. – International well-known brand electrical components and pneumatic components, like Schneider and Airtac. – Index-able cutter. When it was broken, just need change cutter head, it’s more cost-effective than to replace the saw blade. – Safety for the operator, worker’s hands won’t access to cutting position. – Powerful motor to assure the wood notching is smooth. 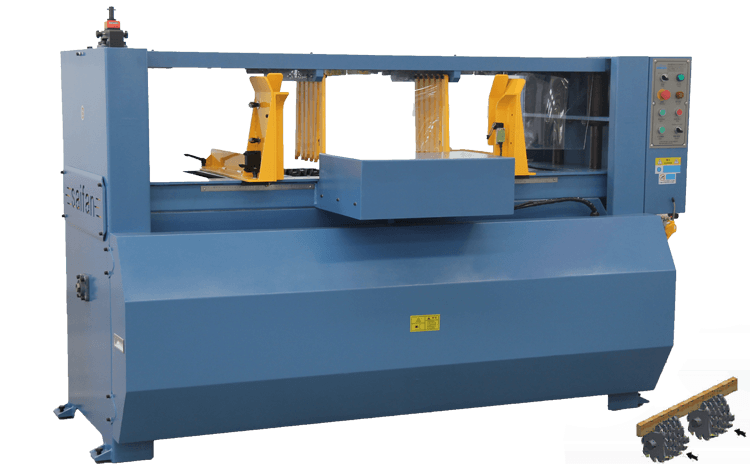 – The machine is fully automatic, and pneumatic nailing gun nail pallet. – Need 2 workers, one worker feeding pallet face board, another one feeding bottom board, can make 1200 pcs/shift. – It only makes stringer pallet, also we have EUR pallet automatic nailer.